Are you one those folks who keep misplacing their shades, keys etc. and wonder which black hole all your things are escaping to? And do you hate carrying your things/essentials in transparent zip lock bags or polythene bags? 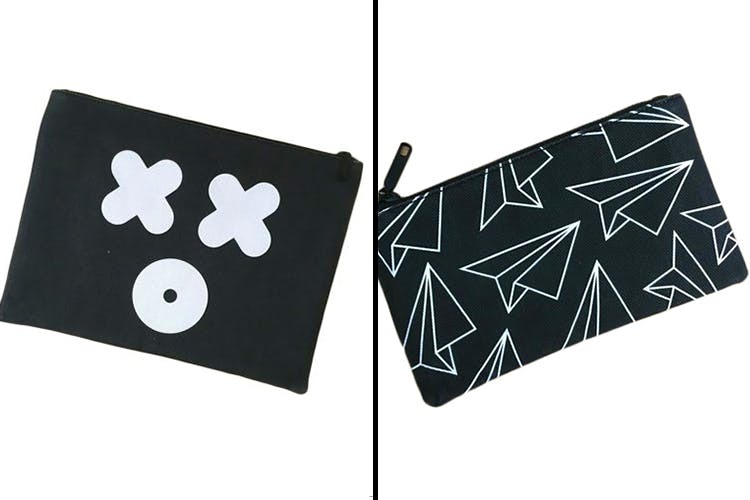 Well, rejoice and be glad as Vegan handbag brand Princesse K by Karishma Shahani, has teamed up with graphic artist Shweta Malhotra to create a collection of quality pouches that are not just functional but fashionable. Keep all your essentials in one place, stay organised and always in style with these handy pouches available on the Princesse K website.